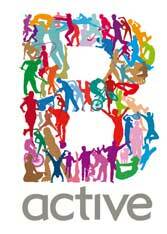 The Birmingham ‘Be Active’ Campaign is running Fun Family Activity Sessions at Cottesbrooke Junior School every Tuesday during term time in the School Hall from 3.30pm to 4.30pm. The scheme is supported by Birmingham City Council and the NHS and is run by a fully trained fitness instructor. The hour long session sees children and parents/guardians exercising together in an accessible and enjoyable way. The classes have been running since October and the adults that have participated said that the Be Active scheme offers a great way to get a bit fitter no matter what your shape or size and have fun with your child. You can just turn up on Tuesdays at the Junior School Hall (off Cedars Avenue, Acocks Green). Wear some comfortable clothes and bring a drink of water. If you would like more information you can phone Adam or Sarah at Sportswise on 713 1661 – quote ‘Be Active’. Sessions are for any local families with children aged 4 to 11. All participants must have a Birmingham postcode. Children must attend with their parent or guardian. A maximum of 4 children must be accompanied by 1 participating adult. The scheme is funded until Spring 2011. This entry was posted in Events and tagged Acocks Green, Be Active, classes, Cottesbrooke Junior School, exercise, Family Activity Sessions, Keep Fit. Bookmark the permalink.